← What’s a Bad Question? … Was That one? Mastery recently updated its “2012 NFPA 70E Arc Flash Training,” safety course to now work in our third generation VOD format; making the course mobile friendly. 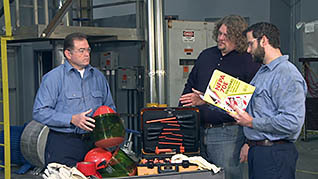 This course, available at Mastery.com, highlights the changes to the 70E document, along with an overview of the guidelines to follow to keep electrical workers safe. Improper training can lead to an extremely unsafe workplace, to prevent this occurrence implement this informative training course. Ensure your workers are able to not only perform their job safely but also make them better able to perform a multitude of tasks while on the job. Stay tuned as we are continually updating our safety and business courses to be more easily accessible on our mobile-friendly VOD format! This entry was posted in Product Announcement, Workplace Health and Safety, Workplace Training and tagged arc flash, arc flash training, NFPA, NFPA 70E. Bookmark the permalink. Great post, Thanks for sharing this information, I like this post. Iam expecting more post from you. 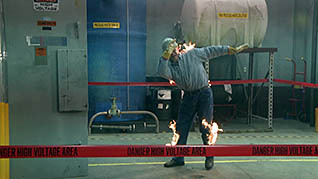 For some more information please visit this site Arc Flash Osha .